Remember OlliOlli? Its addictive 2D take on the trick-combo formula that fuelled the Tony Hawk franchise for a good fifteen years launched on PS Vita back in 2014 and then got ported to pretty much everything else, including Wii U and 3DS. For a game so suited to portable play sessions, it’s taken a remarkably long time to come to your favourite ‘homeheld’ console, but here it is, and the belated arrival feels like a handheld homecoming. Fortunately, the wait has been worth it; OlliOlli is just as satisfying – and infuriating – now as it was five years ago. If this is your first encounter with Roll7’s indie title, OlliOlli: Switch Stance combines both the original game and its 2015 sequel, OlliOlli 2: Welcome to Olliwood, in one gnarly package. For the uninitiated, it’s a side-on, auto-scrolling skater that relies on twitch movements to negotiate short but tricky courses filled with grind rails and obstacles. Every time you come a cropper you restart the course, although hitting ‘X’ restarts immediately if you’re not satisfied with your performance. Pulling and releasing the left analogue stick launches you into the air, and rotating the stick in different directions (as you might in a beat-‘em-up) enables you to pull off a wide variety of tricks, the names of which will be familiar if you’ve ever dabbled in the skating genre – plenty of ollies, nollies, kickflips and the like. Grinding is achieved by holding the left stick in any direction when you're above a railing or other grindable surface. Perfect timing gives you a minor speed boost – you’ll otherwise have to tap ‘B’ on the ground to gain momentum. Tony Hawk casts a long, lanky shadow over the skateboarding genre and OlliOlli is obviously indebted to the series which bears his name, but its trick system also reminds us of 1080° Snowboarding. You tap ‘B’ to ‘flex’ your knees on landing, which took us back twenty years when we were trying to land spins by hitting ‘Z’ at just the right moment on the slopes with Dion Blaster (work your body, wo-work your body). Similarly, it takes a while to learn but proves to be a fluid, satisfying system once you nail the basics. It takes longer to master the spins on ‘L’ and ‘R’, but each one adds a 1x multiplier to your trick score, so it’s worth incorporating them into your repertoire. All the moves are catalogued in the Tricktionary, accessible at any time should you need to consult specific inputs to fulfil objectives or challenges. Both games feature five worlds, each with ten courses (five amateur, five pro). Completing challenges unlocks the harder difficulties – these can be as simple as collecting tokens and making it to the end or performing specific tricks and getting perfect launches off ramps. Fortunately, you needn’t conquer them all in one go – they remain unlocked once you’ve met the requirements, even if you wipe out. And you’ll wipe out often; there’s very little middle ground between a perfect run and total failure. Be prepared to stick with it through the initial learning curve if you want to get your money’s worth. Learning the courses takes time, and while you may be able to wing it through earlier levels, the later ones require careful memorisation and planning. As you complete levels, ‘Spots’ open up – essentially a high score mode limiting you to a single trick combo per stage (you’ll halt the moment you land). Both games also feature the Daily Grind, a one-time opportunity to post a single score to online leaderboards every day. While the base experience is very similar in both games, the sequel adds a Hollywood film set spin to the worlds you travel through, ditching the pixel aesthetic in favour of a cleaner, simpler style that works well on screens big or small. Personal preference will dictate which you gravitate towards – we preferred the cleanliness and visual variety of Welcome to Olliwood. Given the choice, we’d prefer to grind on steam trains and oil wells in the Old West or kickflip through a zombie-infested amusement park. 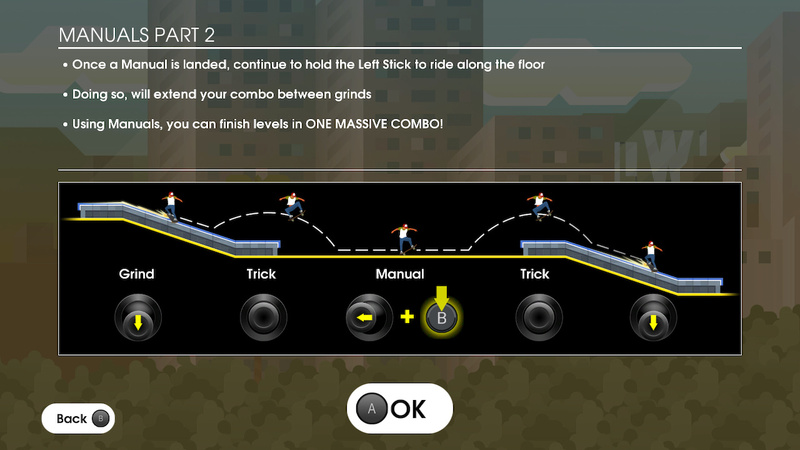 The sequel also throws new tricks into the bargain, with manuals (performed by tapping left or right while landing with ‘B’) enabling you to string combos together over flat ground, just as you did back in the day in Tony Hawk’s Pro Skater 2/3/4. The original game feels decidedly calmer after you’ve sampled the hectic trick-chaining of the follow-up. The sequel also includes Skate Park, an area to practice specific moves, and Combo-Rush, a local split-screen multiplayer mode that came as a free update for the original release. You can tailor the competition to be either a straight race or score-based, then crack out the Joy-Con and challenge up to three friends. It’s mildly diverting on a TV, but the likelihood that you’ll have three mates proficient enough to make the contest interesting is slim. The screen is split in four even if there’s only two of you, so your screen is minuscule in tabletop mode – it’d be tough to get a tournament going at your rooftop rave, in the park or under the flyover – all those spots where Nintendo reckons the cool kids hang out. Oddly, you can’t switch between games without quitting to the Switch’s menu – no biggie, but a tad irritating. The touchscreen isn't used in any capacity, but HD rumble gives some satisfying feedback. Beyond the difficulty, the most off-putting thing about OlliOlli is arguably the smooth chillout that plays in the background. It grows on you, but it’s undeniably repetitive. 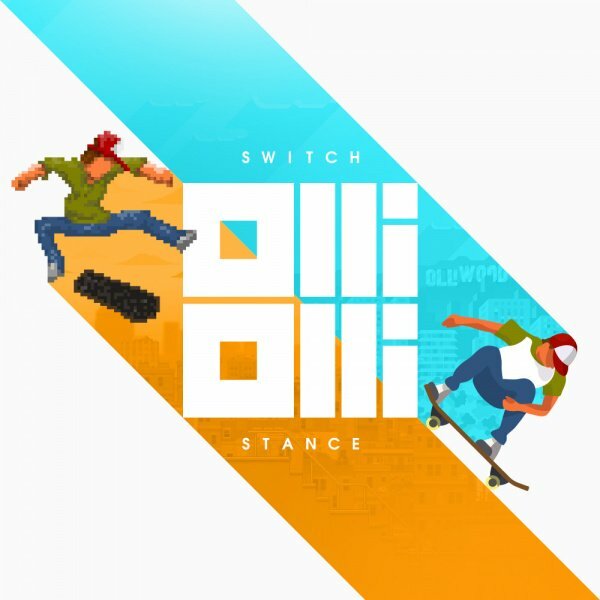 Maybe we’re simply dinosaurs who associate skating with VHS tapes of hilarious, eye-watering fails, but OlliOlli’s ambient acid jazz didn’t really gel with our constant faceplants. New tracks unlock as you progress and you can skip them by tapping the right stick at any time, but we’d rather fire up a podcast or, better yet, find a Tony Hawk playlist on Spotify (or your streaming platform of choice). We’ve always found digital skating goes down awfully well with a spot of Goldfinger or The Offspring (google it, kids). 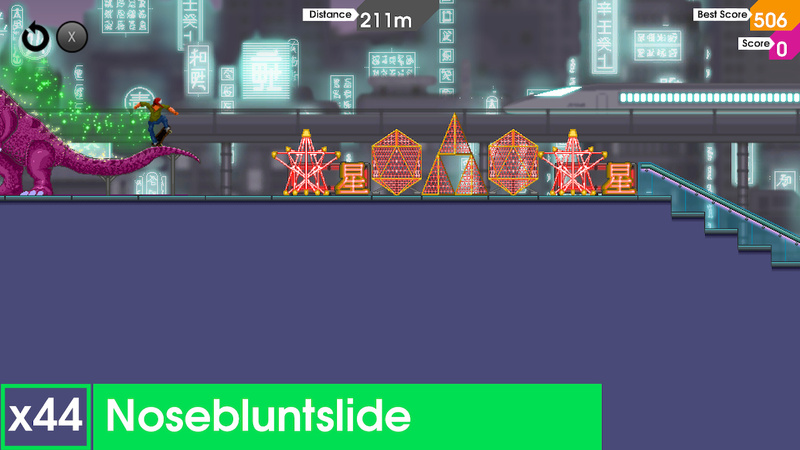 OlliOlli is one of those games you really have to live with; perseverance pays dividends, but so does taking a break and coming back in the morning to find muscle memory kicking in. Before you know it you’ll be grinding elegantly and racking up impressive points, but you need to stick with it. With the skateboarding genre largely on hiatus, this is an easy recommendation to newcomers with the patience to master it. This version doesn’t bring anything new to the table if you’ve played it before, but it’s a fine game in fine form on Switch. This should tie me over until Skate or Die! 3 is announced in tomorrow's Direct. I added this to my wishlist yesterday when I saw the trailer for the first time. It reminded me of the BMX event in California Games on Atari 2600. They should start replacing skateboard games with swegways in order to appeal to the modern generation. This is a decent game but I wouldn't be calling it a skateboarding game, it doesn't really have much to do with skateboarding outside of the theme. It plays a lot more like a rhythm game to be honest, it's all about timing your button presses with whatever is going on screen. Everything is very straight forward. A great game for gamers who enjoy this kind of gameplay but it doesn't really offer much for skateboarding fans. It just makes me wish the SKATE series got a new entry. Yeah, as a former (terrible) skater I should want this but I want a real skateboarding game. Tony Hawk needs to get on it and cash some checks. @DockEllisD For a brief moment, you got me really excited...until I realized that reality is a thing. Still, I had so much fun with the original SoD (though I've heard most prefer the second--never played it myself). As for OlliOlli, I've always wanted a 2d Tony Hawk! @DockEllisD OlliOlli has actually been on Wii U, PS4 etc. for a long time. 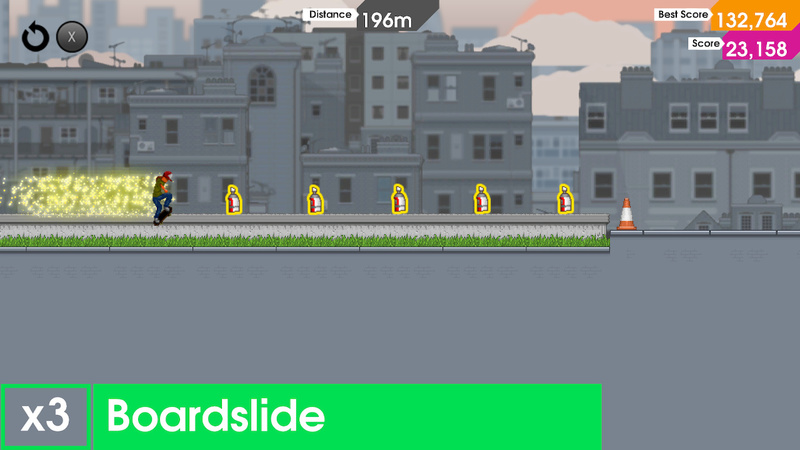 Uhm, have you actually ever played any OlliOlli game? They're totally skateboarding games. The closest to the Tony Hawk series, maybe even better. @shani I've never played it. I'll try it out some day, I'm sure. These games rule. I played them a LOT on Vita and PS4. @JayJ Completely agreed. Tony Hawk this ain't. It's just a side-scrolling, skateboard-themed rhythm platformer. Could have had any theme, really. A real skateboarding game should be in full 3D, otherwise you'll never get the same (and/or genuine) experience. So, they should just port a Tony Hawk game, or EA's Skate from the Wii, which was also pretty decent. Heck, even Shaun White's skateboarding was far superior to this here. @shani I have these games on my PS4, they are fun for what they offer but calling it a true skateboarding experience is just being out of touch. Skateboarding should involve exploration and being able to creatively utilize an open environment while performing tricks your own way. 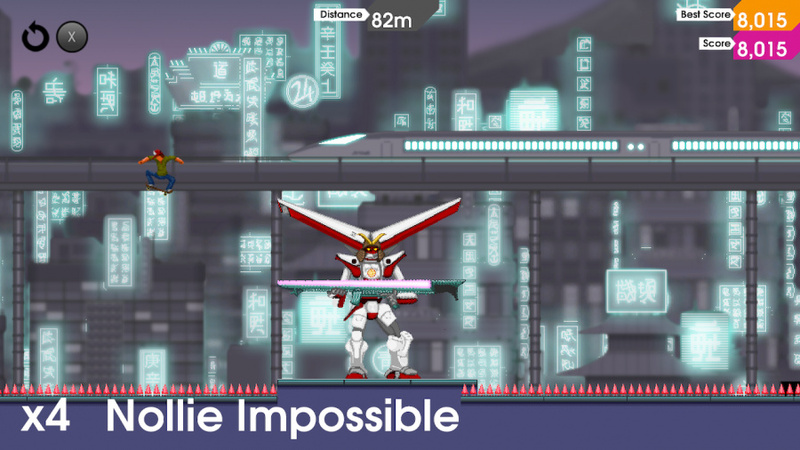 OlliOlli is a total rhythm game at it's core, you are on a linear path where all you do is progress at a pace and perform specific button combinations as the need to do so comes on screen. I'll give it some credit for it's score system but that is about as creative as you can get with how you play this game. It is a unique approach and has a lot to offer gamers but calling it a skateboarding experience is just dishonest. That is just a theme, this is almost an auto-runner which is another sub-category of the rhythm genre. @misterMike And its excellent sequel at a very reasonable price. The only game that ever crashed on my 3DS. @proof21 I’ve played dozens of hours of both. I have no idea what you’re talking about though. Is this a common thing? This comments section is like one for a Deafheaven YouTube video! I don't really care what genre this is, it's great fun and I spent hours playing it on Vita. Well, I’m placing my foot firmly in my mouth...these games are off the charts fun. Seriously, I’m floored at how deep these games are, it’s really something special.